Okay, so I do admit, there’s nothing worse than a classic movie being redone, and the finished product being horrible. That being said, the “reinvented” version of The Wiz that aired on 12-3 was epic in my opinion. I thoroughly enjoyed both the acting and the singing. If you ask me, 19-year-old newcomer Shanice Williams from New Jersey is a star in the making. Neyo, Queen Latifah, the amazing Stephanie Mills, Common, and the rest of the cast all succeeded in making the reinvented version of The Wiz an all time favorite, which is just as funny and exciting as the original. I am an 80’s baby, so I saw and loved the original Broadway musical, as well as the movie starring the great Diana Ross and the late great Michael Jackson. However, I don’t think we should be comparing the two. If we take away all the comparisons, I’m sure many will realize the 2015 version can become a classic in its own right, and here are a few reasons why. As much as some of us “older kids” hate to admit it, the truth is we are not in the 80’s or even the 90’s anymore, so a lot of the content from the original version of the musical is not relevant today. I admire the bravery it took to keep as much of the original elements and storyline as possible, while adding a modern twist to it that the current generation of youth can relate to. Just as us adults were excited when we saw “MJ” as the scarecrow doing all the dances we loved, and the music being representative of the music we listened to at the time, in order for the 2015 version to be just as impacting, it had to implement cultural trends that kids today would recognize and appreciate. I do not see Mary J. Blige “hitting the Quan” as shade to the original version; it is a way to embrace what made the original version so epic, and transform it into the modern age. I can appreciate it, and this is why I think it has the potential to be embraced by the youth today, and create life long fans, as the original did for adults today. In a country that often forgets people of color, the airing of a fun and positive musical with an all black cast is monumental. Equal representation in the arts is essential in inspiring future actors, singers and dancers, and is instrumental in lifting the morale of youth of color, a segment of society that is often neglected socially. With everything that is happening in this nation surrounding the #blacklivesmatter movement, and the many protests for equal rights across the board, this kind of production on live TV was a refreshing change from all the negativity our youth are exposed to via the media on a daily basis, and in my opinion was successful in making TV fun again. 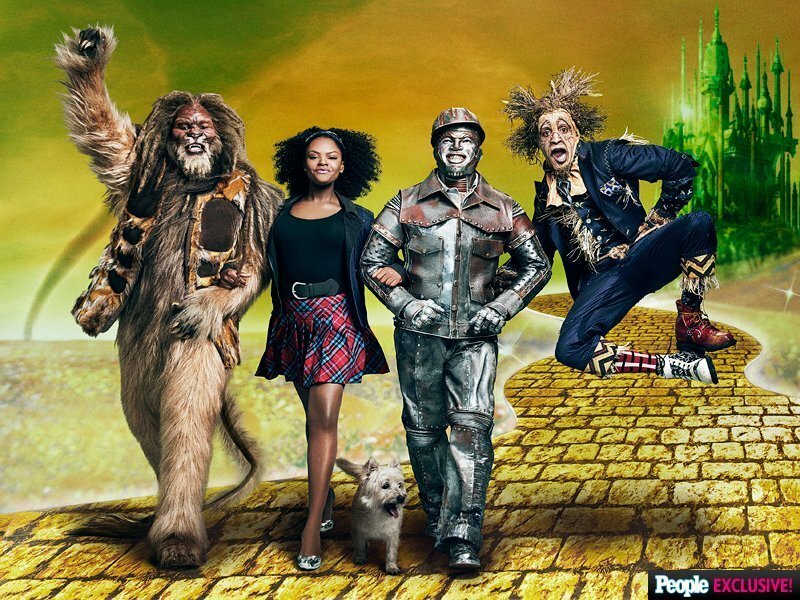 The support for The Wiz Live, as evidenced through social media seems to have been outstanding. There will always be “Negative Nancy’s” out there, but overall, based on my FB timeline many people seemed to have enjoyed it. The positive reception for this production has the potential to inspire networks to stand behind future productions representing black culture. There are so many stories to be told, and presenting from the perspectives of African Americans and other people of color is truly needed in order to heal this nation. So, instead of throwing shade, based on the perceived differences between the new and the old version, why not embrace them, and recognize the potential it has to be the beginning of something great? Update: As of this printing, as reported by Variety.com, The Wiz Live scored impressive ratings with 11.5 viewers, and was the most tweeted live special on record.